This vibrant family and pet friendly apartments is certified CFMH (Crime-Free Multi Housing). Located near Abbotsfield Recreation Centre in Northeast Edmonton. Conveniently within walking distance of Abbotsfield Shopping Mall, Abbott School, grocery stores, schools, playgrounds and major bus routes. This is the perfect, comforting building to call home with a newly upgraded security camera system. Receive up to $2088 off on select suites. 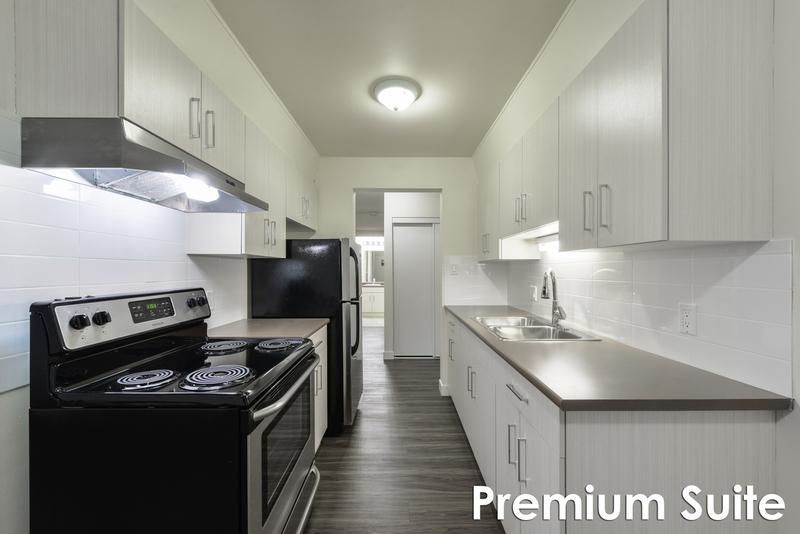 These newly renovated suites with new appliances include a fridge, stove, balcony or patio and storage. Alexander Plaza is a family friendly community with onsite daycare and laundry facilities. An easy commute to Abbotsfield Park, Abbotsfield Shopping Mall, Rundle Park Golf Course, Walmart Supercenter, Safeway, Mac’s Convenience Store, restaurants and so much more! Easy access to major roads like Highway 16 / Yellowhead Trail and 118 Avenue. Rent includes heat, water and one energized parking stall. Pets are welcome with a $25 monthly pet fee (per pet) pending approval of pet application.